GEORGIA. 2017. Khurcha Village. Before March Khurcha was a village of one of the main checkpoints between the de facto region of Abkhazia and Georgian controlled territory. Now as the Russians have closed its borders, the village has become quiet and isolated. Nana, 9 years old is one of the 8 siblings in the family. She is folk dancer and someday wishes to become a famous dancer. 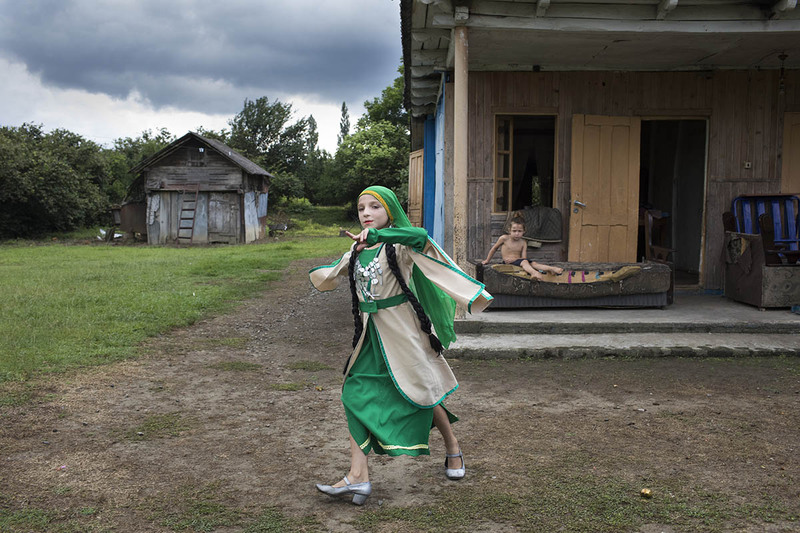 Her mother is form Gali, Abkhazia.